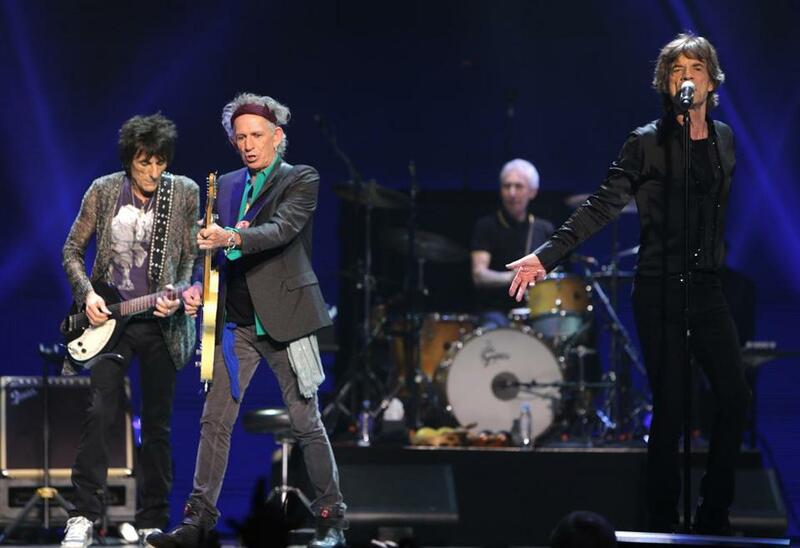 The Rolling Stones, (left to right) Ronnie Wood, Keith Richards, Charlie Watts, and Mick Jagger, rocked the TD Garden on Wednesday night. As random as they seemed, those cameos got at the heart of what has made the Rolling Stones so timeless: Their music cuts across generations and genres, a fact boldly noted at Wednesday’s performance at TD Garden. At 12,101 attendees, it was nearly sold out, and a second show is set for Friday (with tickets still available). The Stones are on a tour they’re calling “50 & Counting,” referring, of course, to the band’s silver anniversary. The beauty of this new stretch on the road is that the Stones can — and did — play whatever they want. To answer the questions you no doubt have: Yes, Mick sounded great, strutted like a feral alley cat, and he’s still skinnier than you and I will ever be. Yes, Keith Richards is the most unbelievable pirate guitarist who ever lived. Yes, Ronnie Wood looks like he’s having more fun than anyone else on stage. And yes, Charlie Watts remains the underrated statesman of the band, keeping the beat and regal in a polo shirt while his cohorts looked every inch the rock stars they are. There was the standard bit of pandering expected in every city the Stones play — Jagger held up a Bruins jersey with his name on it; Richards uttered the words “Boston Strong”— but mostly the band played a set that spanned two hours and 20 minutes. 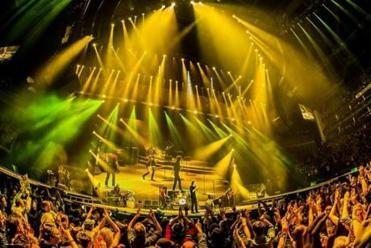 Patrick Woodroofe has been the Rolling Stones’ go-to lighting designer for 31 years, including for their current “50 & Counting” tour that is stopping in Boston. Gary Clark Jr. was the special guest on “I’m Going Down,” and former member Mick Taylor was featured on a handful of songs. With the famous choral intro provided by Boston University’s Marsh Chapel Choir, “You Can’t Always Get What You Want” was the first encore before the night wrapped, predictably, with “(I Can’t Get No) Satisfaction.” That chorus contradicted everything that had just come before it.